The big issues of our day are increasingly ignored because of the importance we place on personal issues. Why worry about how to: feed, house, and power a nation if similar smaller issues take up a tremendous amount of your time. We here at F9 constantly take on large challenges in order to understand the systems and the context of our time. We seek answers through analysis and synthesize solutions with a larger sense of the world. Our practice is enriched by the study of study, and enhanced by the challenge. While some architecture solutions rely heavily on aesthetic acrobatics, the solutions presented here blend social, political, and economical considerations with aesthetics to create an elegant solution. Early in college Lance and Alex understood the importance of Urban Design and set forth on a path to understand the interrelations between Architecture and Urban Design. 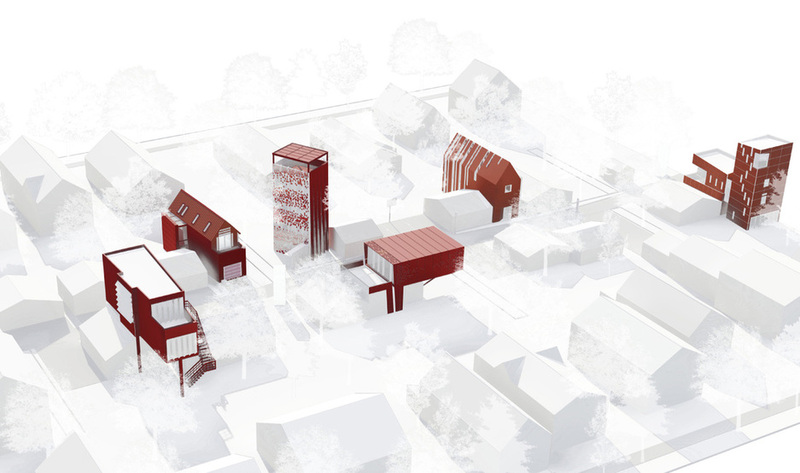 From a humble perspective of focusing on the individual experience when designing urban spaces, the duo won a slew of awards including North Dakota State University's annual sustainable sky scraper competition then, Lance earned the McKenzie award with his thesis project "Trenton 2020" as Alex received the Alpha Rho Chi Award capping off his thesis with "Flex". 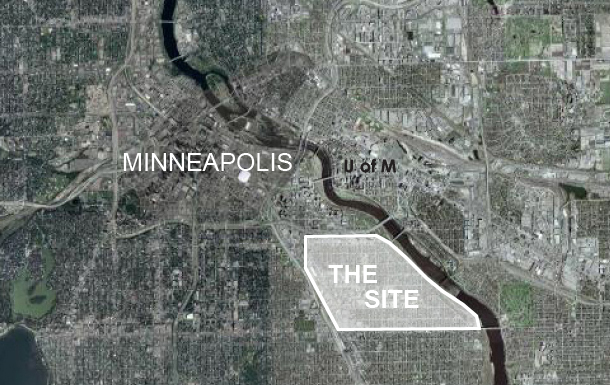 Alex next supplemented his Urban Design studies from college with the engineering firm, Ulteig by working on Urban Design issues for Pierre, South Dakota and Sabin, Minnesota. From there he was accepted, first as an intern and later with a full time salary position, at Studio Daniel Libeskind, NYC. 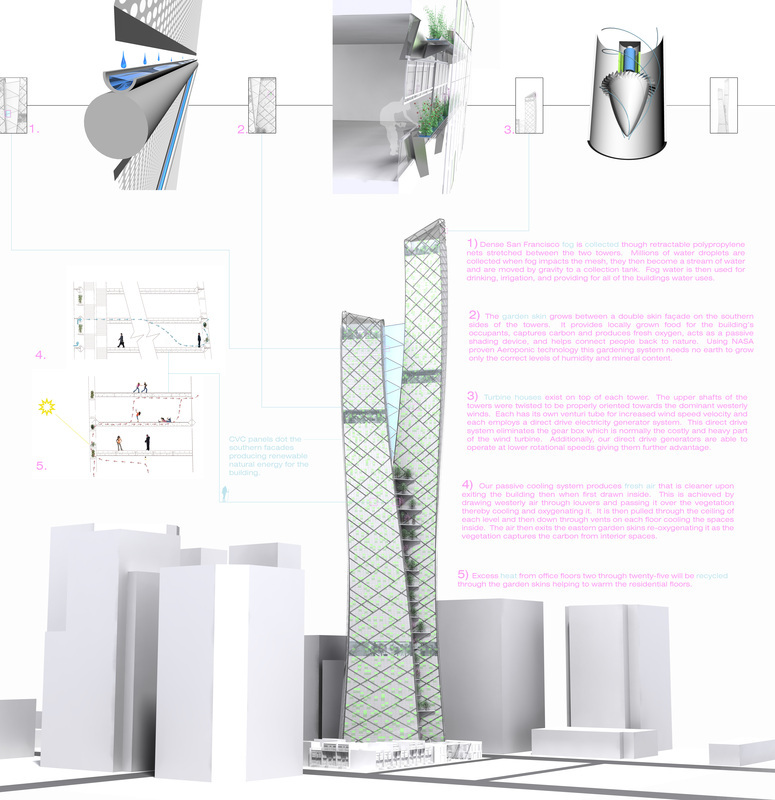 There Alex contributed his Urban Design skills to the international competition winning Skyscraper and Urban design of Archipelago 21 in Seoul Korea. Most skyscrapers are enlarged vertical boxes designed more as a machine than as a living entity. 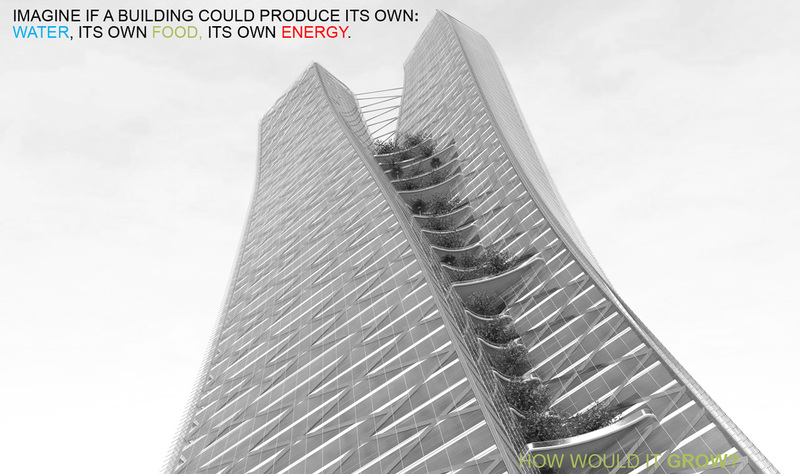 What if a building could Grow? How does a Skyscraper become its own ecosystem? a. Using two story interlocking unit designs each resident has a view of the city and a view of the bay. This was achieved by providing balconies on the north side of the towers and by designing residential floor plans in a skip stop pattern. b. CVC panels are patterned on the curtain wall, like leaves growing on a tree, to create renewable energy and to help scale the façade. c. The structural pattern aids in deflection reduction, and mirrors itself to dissipate larger forces to more members. Thus decreasing individual member stress. d. Community green spaces are provide throughout the building to help foster a better connection to the environment and to each other. e. Proper orientation was given precedence over all ‘eco-gadgets” in the design of this skyscraper. The major massing of the towers sit on an east-west axis to exploit direct solar gain. 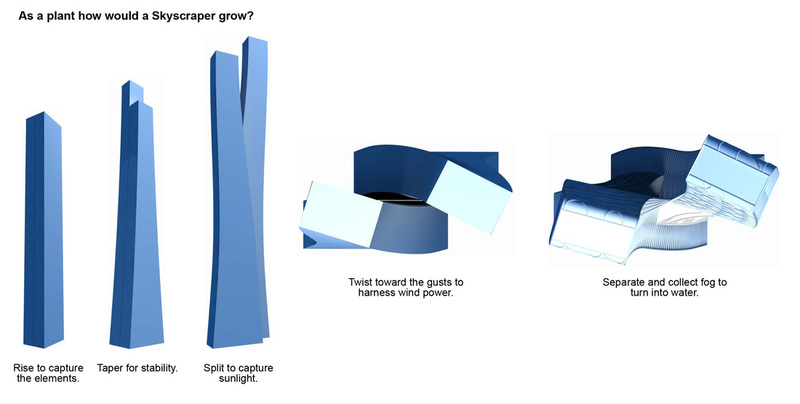 Circulation cores are located on the east and west end of the towers to act as solar buffers. e. continued Wind orientation was also taken into account as the upper parts of the towers twist to let the smallest part of their massing meet the dominant western winds perpendicularly, thus reducing structural stress and deflection. Finally, the towers were bent slightly away from each other to let fog pass through the center. How do systems create a living design? Where should we be building? Is there new space besides farm land? 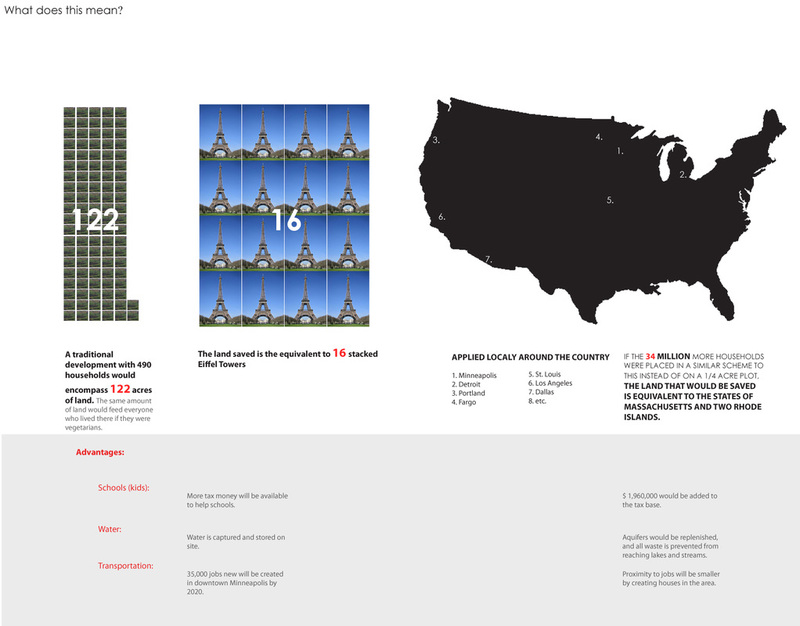 Where will our future housing be built. 34 Million new houses will need to be built by 2030. Baby boomers are retiring, people are marrying later, and all of this is happening in a future were droughts, floods, hurricanes and tornadoes are becoming more frequent. The typical solution to our housing needs are either building up, or building out. But what if there was a third way - a way to build in. The solution to this problem steps for Buckminster Fullers train of thought that the world we live in is in actuality a spaceship. Meaning that all we have to survive is already on this planet. That being said, in which ways can we utilize the systems we have in place to create a stronger survival network. 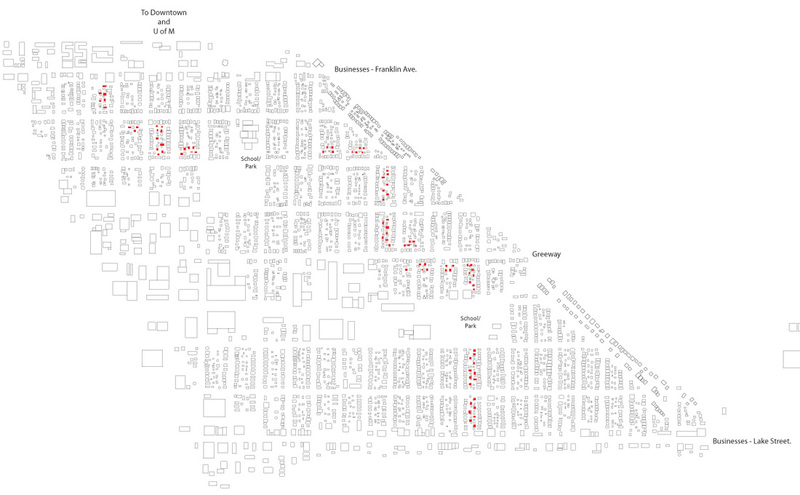 Housing, like most other things in this world follow a pattern, and that is that mass housing follows infrastructure. First it was waterways, second it was railroads, and lastly it has been roads and more importantly highways that have paved the way for mass settlement. The problem with this system is that if vehicles are the only major form of transportation then the result will be more and larger roads cutting off neighborhoods from each other. 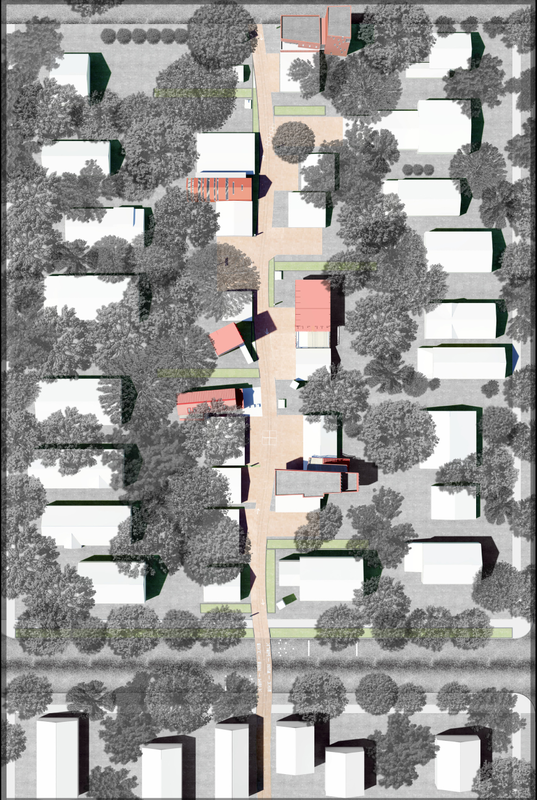 One solution is to create a secondary pathway system that grows more intricate as it ages through alleyways. Connect people to schools and businesses through pedestrian friendly walkways in the allies. Utilize this new infrastructure and create new lots for new housing. 1) Stroll at your own pace - Pedestrians are given priority and vehicles stop while you walk on. 2) Play in the streets - Solar lights extend playing time, while picnic tables provide a safe haven for parents watching their kids play basketball, 4-square or hop scotch. 3) Drink your water and keep it too. - Rain water collected for the roofs will be used in the houses as gray water, stored for future use, and funneled into gardens. 4) Slip in - Houses find a nesting place that balances social interactions with individual comfort. 5) Good design principles - Houses are oriented to capture solar heat and light. Balconies are placed to encourages social interaction within the neighborhood, and east and west elevations utilize the sunlight in the dining and bedrooms. 6) Utilize natural resources - water is distributed to gardens and collected in storage tanks camouflaged as way-finding signs. 7) Shining sun - Local incentives would lower taxes based on how much a household reduces; energy, water and waist levels. 8) Link together - A "green market" could emerge by allowing residents to directly collaborate and sell energy to neighbors. For example a geothermal system is more efficient on a larger scale sharing the resource with other houses. 9) Have a social scene - Directly connected parks are more utilized by the public. Thrive in a new place. Problem: The native american population within the community has been largely neglected by society since their arrival, and Communities of this size (500) often lack the hard and soft resources to solve problems. Casinos typically become the default solution, but in a complex world complementary sophisticated solutions should be taken into consideration. Trenton is centrally positioned within the Bakken oil formation and the current discovery boom within the surrounding region. The boom has caused a severe housing and construction shortage in the city of Williston 13 miles away. Trenton stands as the social center for the Turtle Mountain Chippewa residing in the six adjacent counties known as TISA (Trenton Indian Service Area). Numerous hunting, fishing, and tourist destinations such as, the Fort Union Historical site, the Missouri and Yellowstone River confluence, Lake Sakakawea, the Lewis and Clark 1804 trail, and the Trenton Wildlife Management area surround the community in nearly every direction. Below you will find an alternate growth path, planned out year by year. A. Congress recognizes Trenton as the Western Band of the Turtle Mountain Chippewa, a distinct and separate entity from their mother tribe, the Turtle Mountain Band of Chippewas, in Belcourt, ND. B. The Trenton township begins planning for the conversion into an officially established town. C. The WBTMC Department of Natural Resources is formed and planning for the xeriscaping of Trenton begins. A. The city of Trenton is officially established and the first elections are held in the coming fall. B. The WBTMC Department of Natural Resources begin working with the Corp of Engineers and Williston Game and Fish Department to plan for the regeneration of Trenton lake. C. The WBTMC Department of Natural Resources begins implementing xeriscaping plantings into the community’s fabric. A. The 2007 North Dakota wheat crop was estimated to be at 357 million bushels. B. 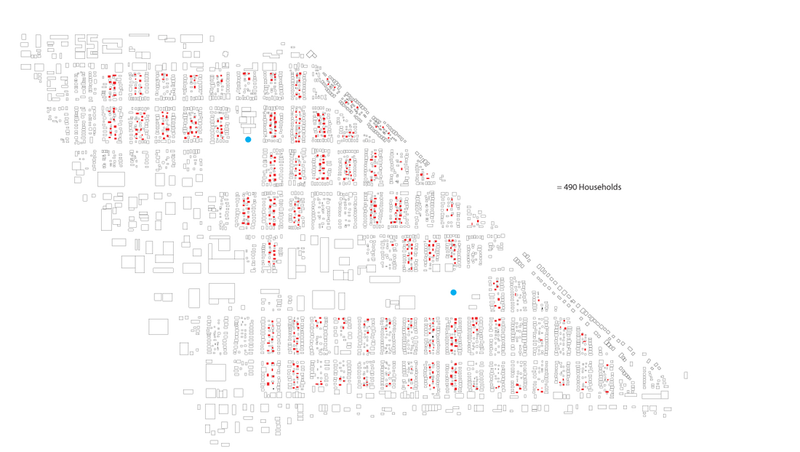 Proximity to Williston and its demand for local housing solutions. A. Plans are completed for the agriboard and prefabricated house manufacturing facility. B. City council and the WBTMC Tribal Council begin to plan for new housing developments based on regional demand. A. Construction of the manufacturing facility begins. B. City council and the WBTMC Tribal Council finalize plans for new housing developments based on regional demand. A. Flood dike construction is completed, the regeneration of the lakeshore continues and planning begins for the recreational cabin development. B. City council and the WBTMC Tribal Council begin planning for the townsquare and conversion of the existing TISA facilities. A. Lakeshore regeneration continues, construction begins on the recreational cabins and reforestation of the recreation area. B. City council and the WBTMC Tribal Council begin planning for the new town center and for the conversion of existing TISA facilities. C. Construction within the housing developments begins and zeroscaping techniques follow completed projects. A. The regeneration of the lakeshore is completed. B. City council and the WBTMC Tribal Council complete planning for the new townsquare and for the conversion of existing TISA facilities. C. Construction within the housing developments continues. A. City council and the WBTMC Tribal Council begin planning for future development along the newly regenerated lakeshore. B. Revenues from the increased recreational activities along Trenton Lake and manufacturing facility begin to fuel the construction of the townsquare. A. Remodeling begins on the existing clinic to transform it into a regional recycling center. B. Revenues from the increased recreational activities along Trenton Lake and manufacturing facility continue to fuel the construction of the townsquare and begin to fuel the remodeling of the existing clinic. C. City council and the WBTMC Tribal Council finish planning for future development along the newly regenerated lakeshore and development begins to take place. A. The remodeling of the existing clinic is completed and the operation of the recycling center begins. B. Remodeling begins on the existing TISA to transform it into a community wellness and activity center. C. City council and the WBTMC tribal council begin planning for the revitalization of the remaining public assets, townsquare two, and future expansion of the town. D. Revenues from the increased recreational activities along Trenton Lake and manufacturing facility continue to fuel the construction of the townsquare and begin to fuel the remodeling of the existing TISA complex. B. Construction begins for the remaining public assets to be revitalized, townsquare two, and the future expansion of the community. D. The remodeling of TISA is completed and the operation of the community wellness and activity center begins. In a city being revived, a baron empty space sways hold over its center. F9 Production breaths life into the lung by designing a center where a culture's landscape becomes its beacon, it's historic river becomes its path, and the past becomes a road map to the future. Welcome to Roots. How to design a block that stays alive 24/7/365. Location: 251 Broadway, Fargo ND. 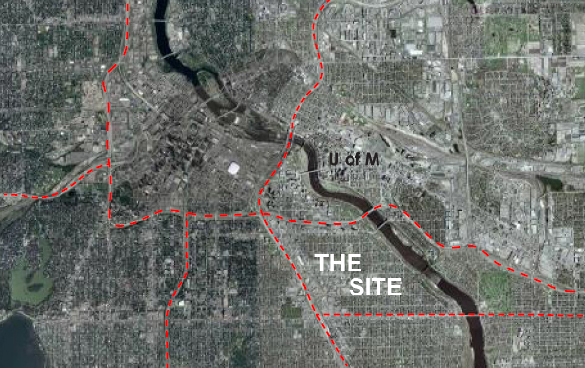 Situation: Fargo is a growing metropolis with a spotted core. The cities center was once a hodgepodge of parking lots sprinkled with buildings. A renaissance began in the early 2000's coinciding with NDSU creating a downtown campus. Now parking lots are being filled with buildings and life is bubbling. One spot remains piece missing. At the heart of downtown, 2nd St. and Broadway, a parking lot straddles a vibrant part of downtown. Solution: Our solution is to capitalize on the very resources that have been fertilizing this area for the past 100 years - its people and its local businesses. The proposed design is to create a 24/7/365 activity center. 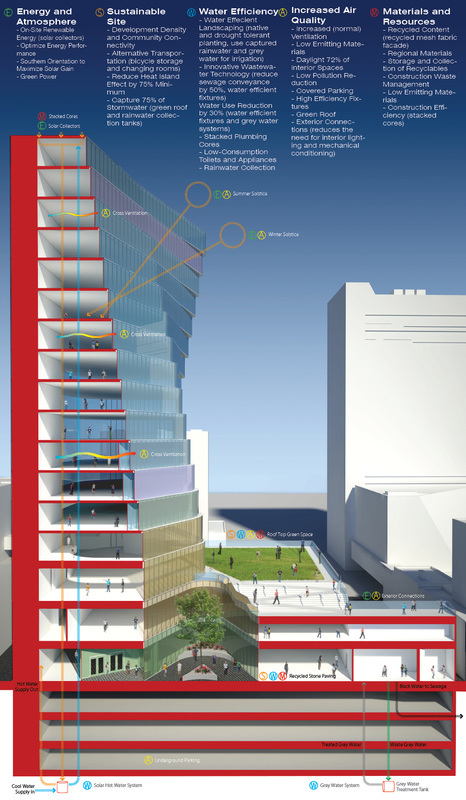 By filling the first three floors with activity centered spaces the plaza beams to live day and night. The summer pool turns into an ice skating rink during the winter. A movie screen illuminates the night. A park creates space for daytime play, reading and relaxing. A childcare center turns into a children's museum during the weekend. Restaurants and Bars keep the evening activity flowing. Two floors Scheels and Trader Joes, keep the economic engine running, while a restaurant with an 2 story bird atrium attracts tourist. Complementing this activity is office space and residential apartments in the anchor tower. The building - like roots - pulls nutrients into it’s core. By pulling people into the center of downtown with; events, open space, parking, big box stores, restaurants, business, and housing, this building helps give downtown the nourishment it needs – people. Strong roots grow strong trees. Power: Just as North Dakota’s grasslands transform the sun’s rays into sustenance; photovoltaic cells are embedded into the tower’s glass and on the roofs converting the suns energy into power. 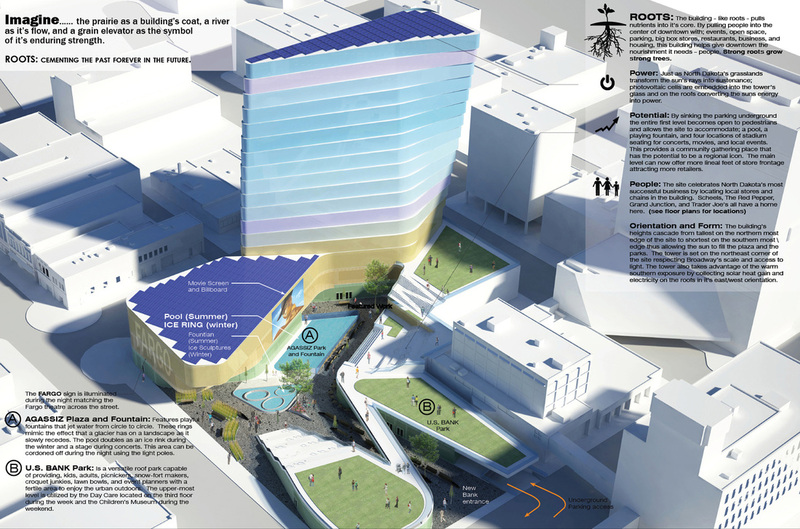 Potential: By sinking the parking underground the entire first level becomes open to pedestrians and allows the site to accommodate; a pool, a playing fountain, and four locations of stadium seating for concerts, movies, and local events. This provides a community gathering place that has the potential to be a regional icon. The main level can now offer more lineal feet of store frontage attracting more retailers. Orientation and Form: The building’s heights cascade from tallest on the northern most edge of the site to shortest on the southern most \edge thus allowing the sun to fill the plaza and the parks. The tower is set on the northeast corner of the site respecting Broadway’s scale and access to light. The tower also takes advantage of the warm southern exposure by collecting solar heat gain and electricity on the roofs in it’s east/west orientation. 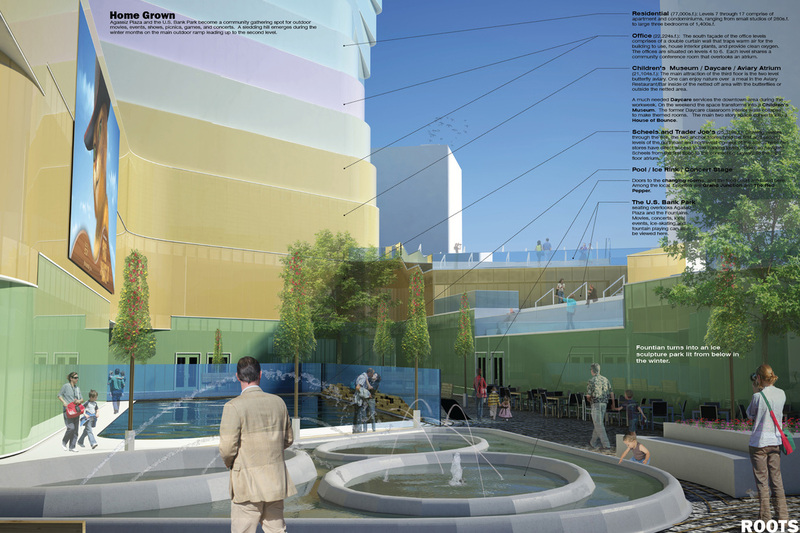 AGASSIZ Plaza and Fountain: Features playful fountains that jet water from circle to circle. These rings mimic the effect that a glacier has on a landscape as it slowly recedes. The pool doubles as an ice rink during the winter and a stage during concerts. This area can be cordoned off during the night using the light poles. U.S. BANK Park: Is a versatile roof park capable of providing, kids, adults, picnickers, snow-fort makers, croquet junkies, lawn bowls, and event planners with a fertile area to enjoy the urban outdoors. The upper-most level is utilized by the Day Care located on the third floor during the week and the Children’s Museum during the weekend. Agassiz Plaza and the U.S. Bank Park become a community gathering spot for outdoor movies, events, shows, picnics, games, and concerts. A sledding hill emerges during the winter months on the main outdoor ramp leading up to the second level. Residential (77,000 S.F.) : Levels 7 through 17 comprise of apartment and condominiums, ranging from small studios of 280 S.F.. to large three bedrooms of 1,400 S.F. Office (22,224 S.F.) : The south facade of the office levels comprises of a double curtain wall that traps warm air for the building to use, house interior plants, and provide clean oxygen. The offices are situated on levels 4 to 6. Each level shares a community conference room that overlooks an atrium. Children’s Museum / Daycare / Aviary Atrium (21,104 S.F. ): The main attraction of the third floor is the two level butterfly aviary. One can enjoy nature over a meal in the Aviary Restaurant/Bar inside of the netted off area with the butterflies or outside the netted area. Scheels and Trader Joe’s (25,319 S.F. ): Drawing visitors through the site, the two anchor stores hold the first and second levels of the northeast and northwest corners of the site. These two stores have direct access to the parking levels. One can navigate Scheels from the first floor, to the connecting skyway, to the third floor atrium. Doors to the changing rooms, and the food court are found here. Among the local favorites are Grand Junction and The Red Pepper. The U.S. Bank Park seating overlooks Agassiz Plaza and the Fountains. Movies, concerts, local events, ice-skating, and kids playing in the fountain can all be viewed here. The fountain turns into an ice sculpture park lit from below in the winter. Floor Plans - click to pause or move forward.